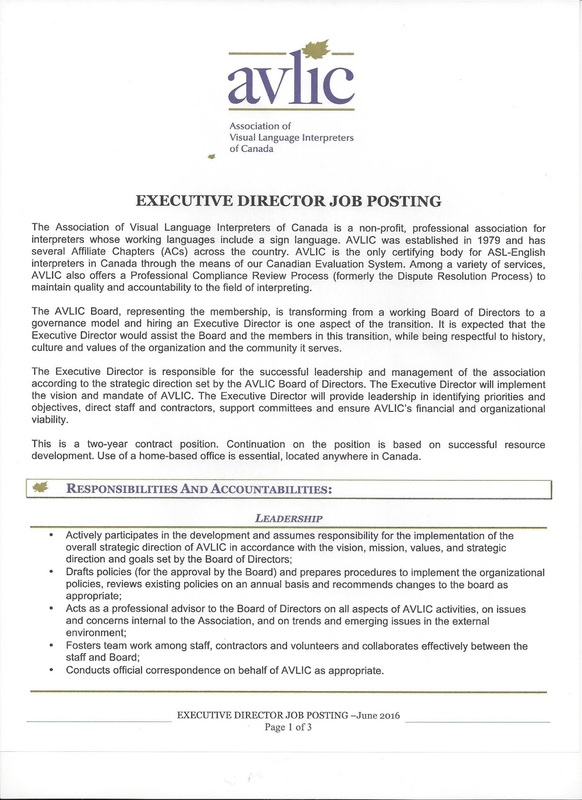 Please find below the job posting and job description for the position of Executive Director with the Association of Visual Language Interpreters of Canada (AVLIC). 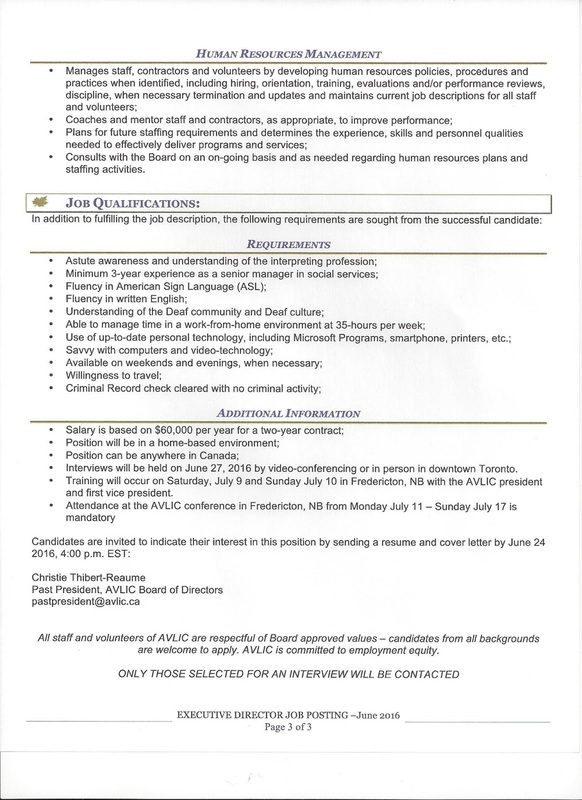 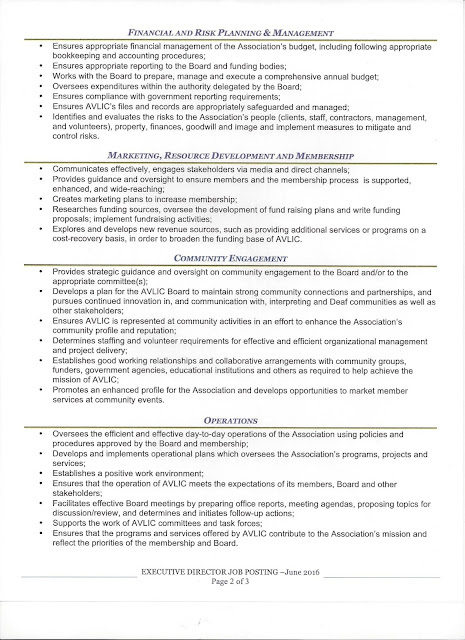 Please click here to watch the Executive Director job posting in ASL and here to watch the Executive Director job description in ASL. 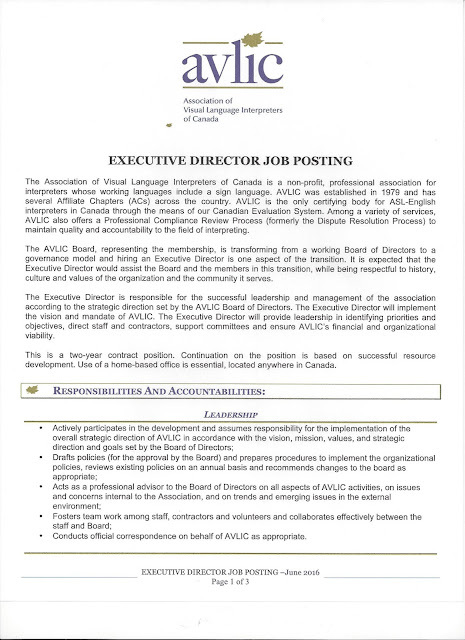 Application deadline is June 24, 2016.